Carry this compass in your pocket or attach it to your backpack! 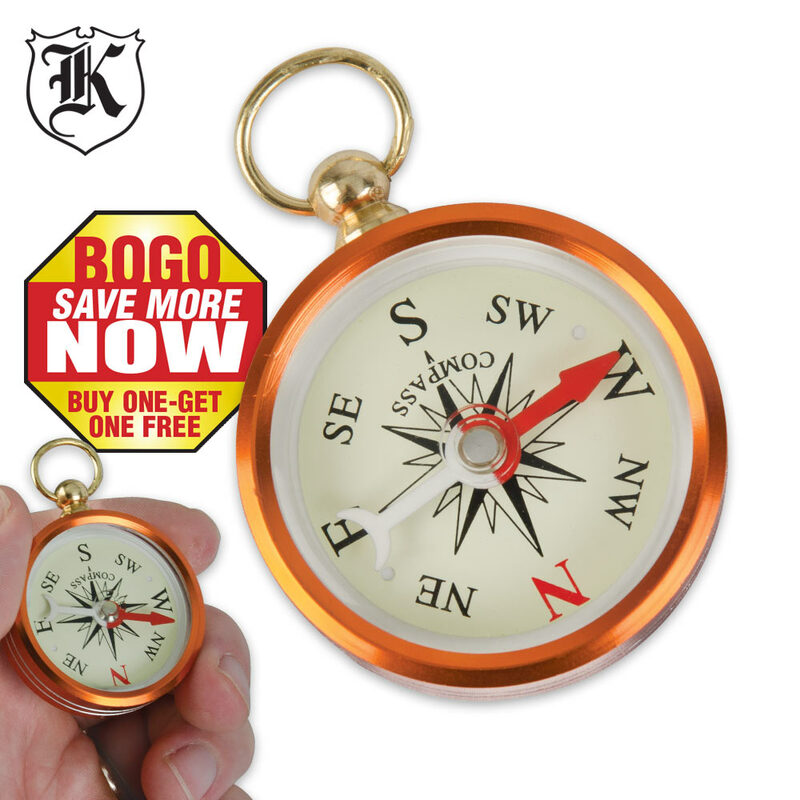 This antique style compass is the perfect size so you can always find your way, without the added bulk of a huge, heavy compass weighing you down. Very nice antique look. One works perfect, but the other one needs a little shake to get it to spin. But 2 for 3$, I didn't expect much. Just wanted them for the looks. I picked up a couple of these on the bogo deal... they are almost as big as a pocket watch. They look nice and all that but if you want a compass for a survival tool there are better choices. But that being said, these will work in a pinch and would look good on a watch bob too.